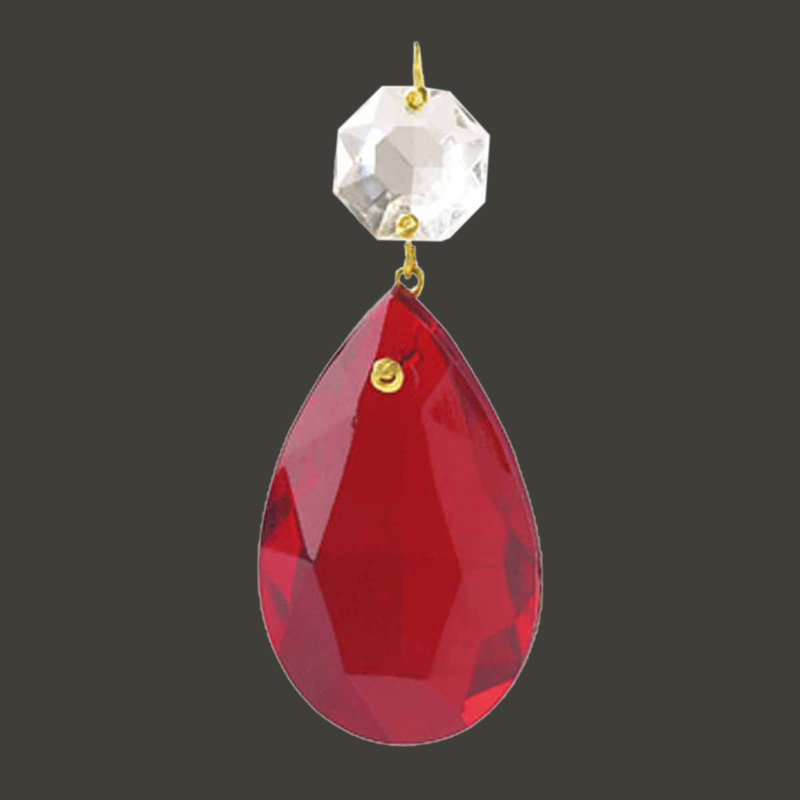 Glass Pendalogue Red 2 inch H. Easily add some sparkle to chandeliers and candle holders. 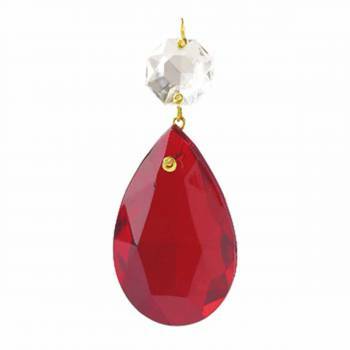 Decorate candelabras or candle holders with a bobeche (sold separately) and these beautiful glass pendalogues. Each pendalogue is adorned with a brass loop for suspending onto a candle holder bobeche or chandelier. Overall height is 3 1/4 inch including brass loop. 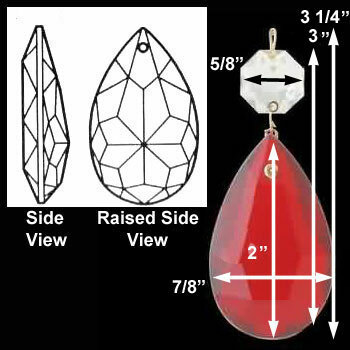 Main jewel measures 2 inch H x 7/8 in. W.